Reshoring—the trend of bringing manufacturing jobs from overseas back to the United States—has become increasingly common in the past few years. It marks the beginning of a reversal of jobs leaving the U.S. for cheaper labor and enterprise costs in developing Asian countries like China, Vietnam, and the Philippines, which in turn translated into cheaper prices for consumer goods like cell phones and flat-screen TVs. Many companies now, however, including such massive manufacturers as Ford, General Electric, Whirlpool, Apple, and Wal-Mart, are heavily investing in reshoring. The Boston Consulting Group recently conducted a study that found that executives at over half—54%—of companies based in the U.S. with more than $1 million in sales are either planning on or actively considering bringing back production from China to the U.S. A similar survey in 2012 found that only 37% of executives were planning to reshore. According to these executives, economic conditions seem to favor reshoring. Although specific circumstances and the benefits are unique to every company, there generally are three main reasons to reshore. A significant factor behind offshoring to countries like China has been lower costs of labor which led to lower manufacturing costs overall. This pay gap, however, has been recently shrinking. The International Labor Organization found that real wages in Asia were up by 7.1%-7.8% every year between 2000 and 2008. In addition, according to the Boston Consulting Group, the average Chinese worker received 10% higher pay and benefits every year between 200 and 2005, which jumped to 19% every year between 2005 and 2010. The Chinese government has even set a target to increase the minimum wage by 15% every year until 2015. The Economist reports that, following a 2010 strike, Honda gave its workers a 47% raise in pay, while the Foxconn Technology Group, manufacturer for big tech firms such as Apple, doubled the wages for their workers. By contrast, the McKinsey group reports that pay in advanced countries grew by only 0.5%-0.9% from 2000 to 2008. Real wages in America—declining annually 2.2% since 2005—are comparatively more favorable to manufacturing firms. 2. Lower Energy Costs in the U.S.
Energy costs are critical to any company considering reshoring. Since 2005, wholesale prices for natural gases have fallen by 50% thanks to a rise in large-scale deposits from underground shale deposits yielded through hydraulic fracturing. In contrast, natural gas is three times more expensive in France, China, and Germany, and prices are expected to remain that way for several decades. It is expected to take between five to ten years before the infrastructure can be put in place for large-scale export of American natural gas. This means that domestic energy prices will remain more cost-effective over other countries. According to the Boston Consulting Group, natural gas is estimated to account for only 2% of average American manufacturing costs, while electricity is expected to account for 1%. Natural gas and electricity in China, by contrast, is expected to account for 6%. The energy advantage is also expected to create 1 million more jobs as more factories are built. Due to the 2008 financial crisis, order sizes for U.S. manufacturing companies have decreased, while those for companies overseas have increased. However, this leads to longer lead times, especially as supply chains can become complicated depending on the method of shipment, such as by cargo ship. Manufacturing here in the U.S. can be far faster than offshoring. Products can travel quickly and reach customers sooner. It can also lead to more collaboration between marketing and engineering teams, helping improve time-to-market as well as resulting in a better product. According to Forbes, reshoring will continue in 2015-2016, but mostly for manufacturing companies that have access to cheap natural gas and global markets, such as chemicals and metals. Reshoring will also grow for industries that see rapid change, such as technology and fashion apparel, where the value of the product compared to weight ratios make it difficult to justify the cost of air freight. Products that require little labor are also expected to reshore. Chemical plants, for example, will bring jobs back, although most of these jobs never left the U.S.
Further enhancing reshoring efforts in the U.S. is the Reshoring Initiative. Founded in 2010, the organization is a collection of manufacturers dedicated to bringing manufacturing back to the U.S. According to the Reshoring Initiative, the forecast looks even better for the return of jobs. Since January 2010, there have been 25 known cases of fabricated metal products reshored, involving 1,749 U.S. jobs. Thanks to reshoring and foreign direct investment, there are now more jobs coming back each year than are being lost to offshoring. In 2003, there an estimated 150,000 jobs offshored and only 2,000 reshored. In 2013, there were an estimated 30,000 jobs offshored while a calculated 40,000 jobs reshored. The projections for 2016 predict 20,000 offshored jobs compared to over 50,000 reshored jobs. Reshoring is ultimately beneficial to the U.S. economy. The IEEE states that the key to successful reshoring is to perform comprehensive Total Cost of Ownership (TCO) calculations, which reveal the true cost of offshoring. The TCO calculates the cost of products sold, “hard” costs such as prototyping and shipping, risk-related costs such as quality, opportunity cost, and branding, as well as strategic and environmental costs. Using these calculations reveals that through reshoring, an estimated 2 million jobs can be created in the U.S. in 2015 alone. TCO analyses help manufacturers clearly see the benefits of bringing these jobs back to the U.S., especially when compared to rising costs shipping costs and wages overseas, and the resurgence in popularity of American made goods. The Reshoring Initiative offers a free TCO calculator so you can aggregate of cost and risk factors into one cost. The organization also has various tools and resources such as the Reshoring Library, the Economic Development Plan, and the Skilled Workforce Development Plan to help companies see how reshoring can be beneficial across the enterprise. The message seems to be clear. Based on narrowing pay gaps, rising energy costs, and complicated supply chains, manufacturing domestically seems to make the most sense as jobs return to the U.S.
Manor Tool has been located in Illinois since our founding. 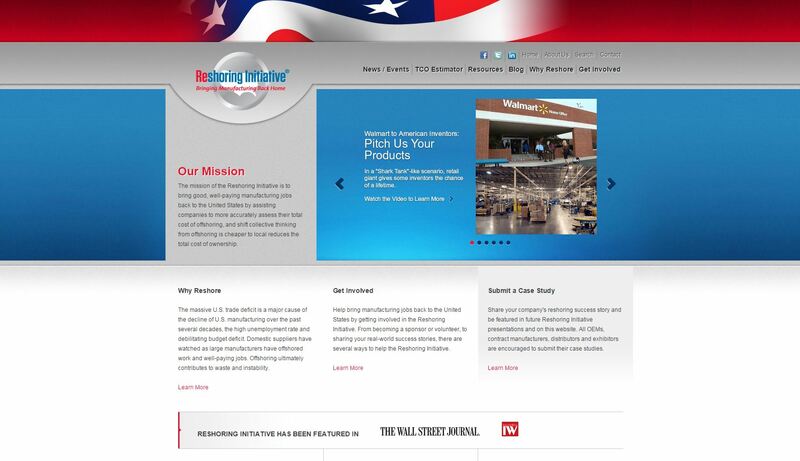 In many ways, our capabilities illustrate the very real benefits of reshoring. Due to our domestic headquarters, we can fully partner with our customers, ensuring constant transparency, meticulous attention to quality, and most importantly, rapid turnaround times. 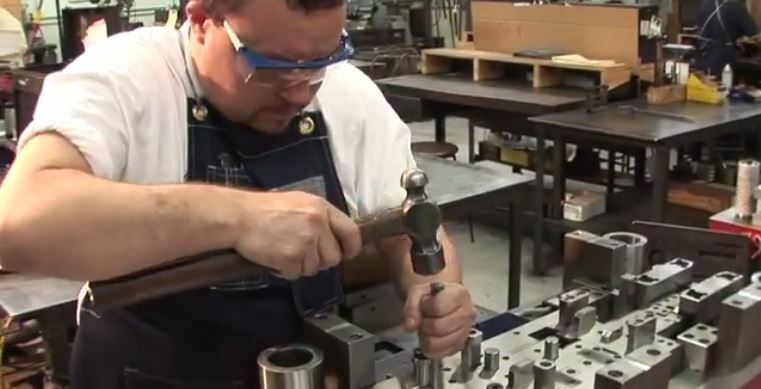 Our stamping, tooling, and design capabilites are all subject to the highest quality standards. These services were instrumental in quickly providing clients across a range of industries with solutions such as an aluminum alloy drawn basin for the medical industry, and a steel dimpled annular for the automotive industry. At Manor Tool, we have seen—and are proud to be a part of—the rapid and continuing growth in the manufacturing, fabrication, and time-to-market capabilities of companies right here in the U.S.